Bradley has definitely taken the scenic route toward a love of books. He is not overly picky when it comes to what he takes a look at--as long as it has pages to turn, he's good. But whether or not he stays is another matter entirely; usually he's off to greener pastures (i.e., whatever his older brothers happen to be looking at). I can't deny that he loves to join in on reading time, and he definitely understands his inalienable right to choose one of the books in the stack. I couldn't be happier to see his love of books growing. The problem is, at 19 months old, he is fiercely independent and possessive and is also a bit of a control freak. So our reading time goes something like this: We all pile on my bed with our stack of books. Max sits on my left side, Aaron sits on my right, and Bradley sits on my lap. I open the book, Bradley tries to yank it out of my hands. Or maybe we didn't start with the book he chose, so he thrusts his decisively in front of the book we were starting to read. He points to things he knows while yelling at the top of his lungs, "Buggie!" or "Kitty!" or "Moo!" over the top of my voice while Aaron and Maxwell moan, "Mom! We can't hear what you're saying!" And I say, "Yes, Bradley, that's a flower...'Once upon a time in Spain'...yes, Bradley, the cow says Moo...'there was a little bull'...shhh, Bradley...'and his name was Ferdinand.'" Then Bradley rolls over to Aaron's side, and Aaron gives him a shove, and then he tries to climb on top of my shoulders and head. And finally, I just give up and put him off the bed, which of course results in much indignant protestations while he scrambles to climb back up and reclaim his spot. I give you this little background so you will more fully appreciate these favorite books of Bradley's. These are books where it doesn't matter how much he talks or comments (in fact, the more the better). These are books that have plenty of things he recognizes and can point to. These are books that are interactive and fun, which is really such an important part of reading and which, no matter how much I'd like to read a story uninterrupted, I have no desire to squash. Like most toddlers his age, Bradley is obsessed with animals. They make him feel superior. Everyone (mom, dad, brothers, grandma, grandpa) asks him such questions as, "What does the sheep say, Bradley?" or "Where's the tiger?" Bradley answers these questions with stunning accuracy while his audience cheers and applauds wildly. It's obvious he's the only one who knows the answers; why else would everyone be coming to him for help? This is a delightful board book, and one that I have been dying to add to our personal collection. It features one set of chomping teeth (pull the tab out, they chomp down; push the tab in, they open up). With each turn of the page, these teeth get a new owner. They belong to a polar bear, an orangutan, a crocodile, and others. You can imagine how much Bradley loves making the mouth open and close (and also trying to stick his own finger into the mouth and get it chomped). Conversely, you can imagine how much I love the fact that this book contains no! flaps! It is so durable, while still giving plenty for his little hands to do. Flaps are nice, but pull-tabs out of heavy duty cardboard are better. Also, another thing that I love (hey, I know this is Bradley's day, but since I'm writing this, I get to share my opinion, too) is that each animal introduces a different verb: the crocodile smiles, the polar bear yawns, etc. This offers the perfect opportunity to practice some smiling and yawning of your own. I love seeing the way Bradley closes the book with his self-satisfied, smug expression: "Oh, you didn't know that that animal is an orangutan? Stick with me. I'll show you a thing or two." P.S. 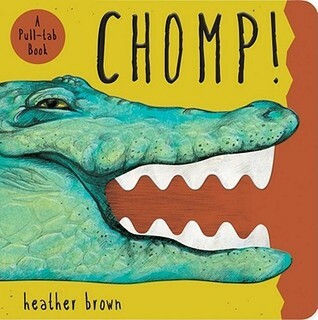 If you end up liking this one, be sure to check out Chomp! Zoo for even more chomping fun. Lest you think Bradley has been left out of the recent bug frenzy around here, think again. He pores over the bug books just like the other boys. However, he is less interested in the fact that a spider has eight legs while an ant has only six and more interested in just the clever observation that the bug on that page is a...BUGGIE! 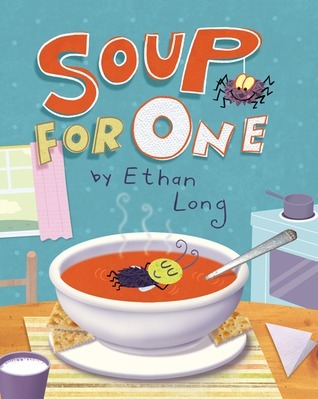 So this book is perfect for him because it cuts all the text and superfluous facts and sticks with a simple story about a little bug excitedly anticipating digging into a bowl of soup only to be edged over (again and again) by just one more bug. There are many reasons to love this book: the illustrations are bright and chunky and colorful; it introduces counting in a fun and repetitive way; it's silly and funny. I wish I had kept track of how many times we read this book before it went back to the library. It would be an astronomical number, I'm sure. It is about a yellow snake who, when he was born, had bright red spots. 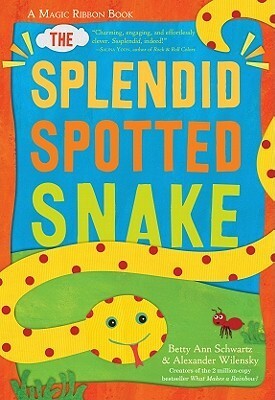 Throughout the story, the snake grows and grows, and each time he grows, he adds spots of a different color. Of course I love the color element in this book. It's such a fun way to focus on one color at a time while showcasing multiple colors at once. I actually used this book for one of Maxwell's recent preschool lessons, but, grrrrr, I'm so behind with writing those up. So this book may be making a reappearance one of these days. And just because I can't help myself, here are a few more Bradley favorites: Bizzy Bear: Fire Rescue!, Bizzy Bear: Pirate Adventure, Who Said Moo?, and Inch By Inch (which I'll actually be writing more about for the next Virtual Book Club). That's it for Bradley. Tomorrow: Maxwell's three favorites! P.S. I'm sharing this post with The Children's Bookshelf and Link & Learn. I love the Soup for One. Way cute!